﻿ How Running a Marathon is Like Running a Business » Red Mango Marketing! Here in Boston, we kind of have a thing for running. Every year on Patriots’ Day, a local holiday celebrated on the third Monday of April, nearly 30,000 people from over 90 countries take to the streets of Massachusetts to embark on a 26.2-mile long challenge. It is not a race for the faint-hearted. Between the treacherous and unpredictable New England weather and the, well, heartbreak that ensues on Heartbreak Hill, the course is demanding and often unforgiving. Some people let the fear of getting started keep them from achieving their dreams. Others face that challenge head-on, every single day. Well, in the case of an actual marathon, that saying can be taken quite literally. You don’t want to overexert yourself in the first three miles of a 26.2-mile race. You have committed to a goal that takes time and strategy; it cannot be accomplished hastily. Rather, you have to learn to pace yourself. Figure out what works best for you, how to visualize your success, and then stick to the plan the best you can. As you may have guessed, someone running a business could greatly benefit from adopting the same mindset. Success doesn’t come easy and it’s important to remember that you have invested in a dream that will take time. Don’t be too hard on yourself if you don’t see immediate results! Create a strategy, stick to the plan, and never give up. This one may seem like a no-brainer. After all, it’s hard to accomplish nearly any goal you have set without determination. However, taking on a long-term goal when it comes to something like running a marathon or running a business can be particularly challenging. You may start to question your capabilities or worry that you’ve set the expectations too high. Don’t let that fear keep you from accomplishing your dreams! Sure, it’s going to be a lot of work and things won’t always feel like you expected or hoped they would. There will be tears, long nights, and moments that truly challenge you. But here at Constant Contact, we champion for small businesses every day (and have been for over 20 years!) because we know you can do this. We can’t understate the power of a strong support system. Whether it’s someone who will train with you, to bounce business ideas off of, or just to cheer you up after a long day, it’s important to have someone on your side. Don’t be afraid to ask for help. If you own a restaurant, you may know everything there is to know about wine pairings or how to properly cook a soufflé, but when it comes down to marketing your business? Well, you may tomber à plat, as the French say. You don’t need to be an expert in everything. Learn how to utilize the skills of friends, family, employees and fellow business owners in your community to build your business up. Don’t forget – Constant Contact is always available if you need help, too! Oh, and if you’re running the marathon this year, make sure to prepare yourself for mile 12 and the volume of cheers Wellesley has in store. Don’t say we didn’t warn you! Marathon runners don’t win every marathon they enter, and they certainly didn’t win the first race they ever faced. It is impossible to be at your best all the time. We’re human; we all have off days and need a break from time to time. When you are training for a marathon, this means taking days off from running to focus on mentally preparing for the event. For a small business owner, this may be time away from your business for self-care and valuable family time. Keep in mind that your business cannot be at its best if you’re not at yours! You’re already thinking about that next race. Pondering the things you could do differently and how you’re going to beat your new personal best. Sometimes, it can feel like your work as a runner or business owner is never done. You’re always looking toward the future and trying to prepare for what comes next. It’s important that you remember to take the time to celebrate your accomplishments along the way. When you look back, you may be surprised by how far you’ve come! Acknowledging this growth will help you be less likely to get overwhelmed by the future. While we’ll defer to your local gym, personal trainer, or running company to give you tips on marathon preparation, here at Constant Contact we know a thing or two about running a small business. If you need help getting started with email marketing, figuring out where you should be online, or any other marketing related tips and tricks, reach out to us on social media – @constantcontact – and someone from our team will be happy to help! Best of luck to everyone running in this year’s marathon! Enjoy every mile — you’ve earned it. 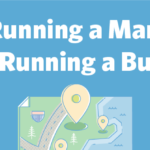 The post How Running a Marathon is Like Running a Business appeared first on Constant Contact Blogs. This entry was posted on Sunday, April 14th, 2019 at 6:20 pm	and is filed under Fresh Insights, News & Updates. You can follow any responses to this entry through the RSS 2.0 feed. Both comments and pings are currently closed.